I am no health nut (I might secretly want to be) but I do like to have purpose other than to “feed” when I am providing a meal to my family. What does that mean? I want there to be some sort of nutritional value when my family and I are eating our meals. To avoid the constant begging for food, I try my best to provide a filling and somewhat nutritional meal. That goes for all three, breakfast, lunch and dinner. To make a meal count it doesn’t have to be time consuming or expensive and I am on a mission to start providing some variety from my go to meals. But sometimes I get stuck on the same things. When you have something good why change it right? 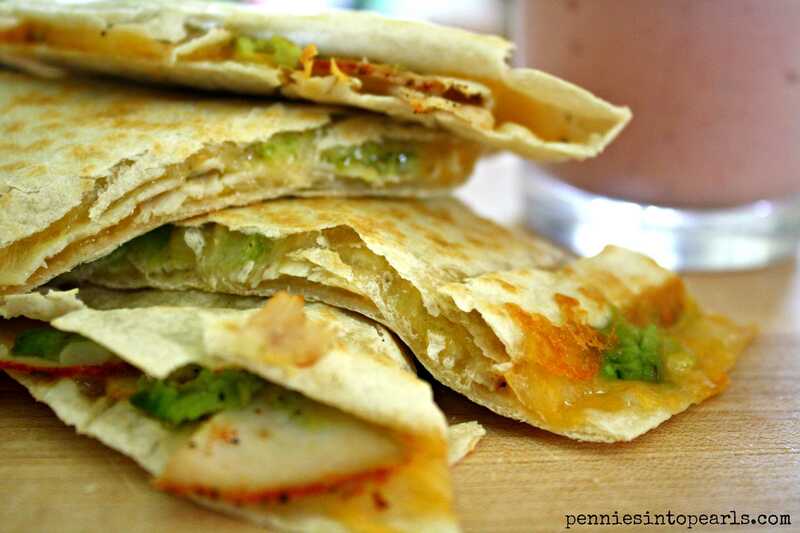 That is what we have here with this quesadilla and fruit and yogurt smoothie. 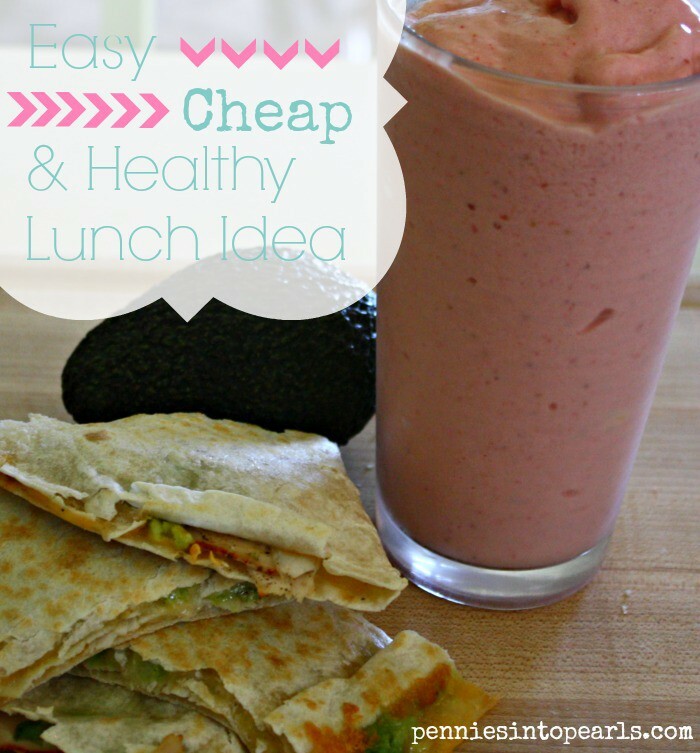 Its a super easy, cheap and healthy lunch idea! I don’t know what it is but for some reason when I am pregnant quesadillas and smoothies are my go-to lunch of choice. I think the reason is they are super easy to make, minimal ingredients, filling, and my kids love it! When you just don’t have any extra energy these are very important qualifications for a family meal! Take your tortilla and start filling with any topping that sounds good to you. Pretty much anything you would put in a sandwich you can put here. But for this particular lunch we had avocados, cheddar cheese, and turkey on hand. Make sure to cover both halves of the tortilla with cheese. This will help it stay together better. Heat your quesadilla over medium heat as to make sure everything gets nice and warm. Fold closed, slice it up, and serve it up. Easy, cheap, and tasty! Add all ingredients in a blender, turn that thing on, blend completely, and serve. Mmmm! I think I know what I want for lunch today! Does your family have a “go-to” healthy lunch? I would love to get the recipe! Share on my Facebook page! 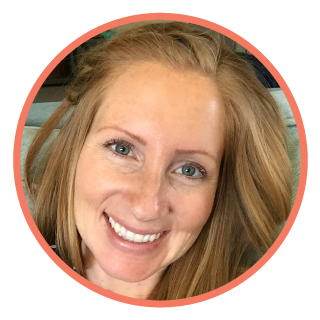 Don’t forget to check out where I am sharing ideas on my Link Parties page! Add all ingredients except milk into a blender. Start my adding 1 ½ cups milk and begin blending. Add more milk depending on how thick you would like the smoothie. 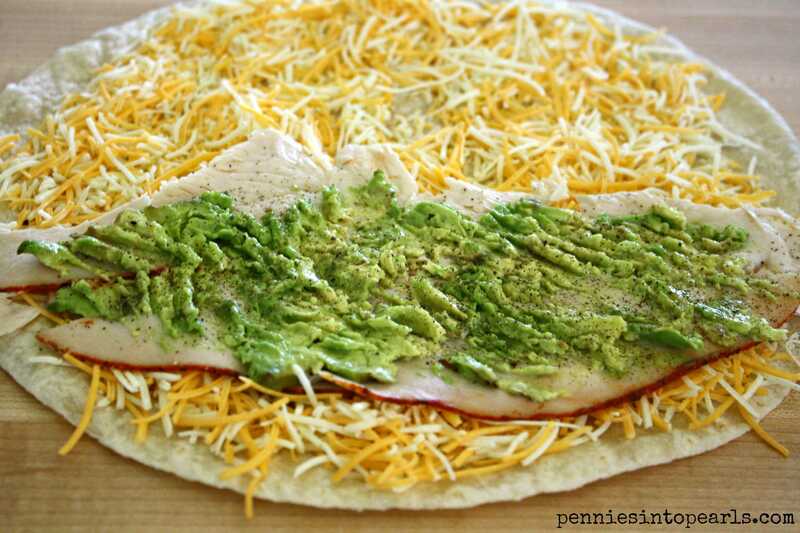 I love the idea of adding avocado to your quesadilla because I think avocado makes almost everything better! I agree Julie! Avocado does make everything taste better! Thanks for stopping by! The orange julius recipe is one of my families favorite smoothies I make. I always forget to make extra because everyone always wants an extra cup. Thanks for stopping by Becky! What good ideas! Thanks for sharing (: I’m glad I stopped in. If you’re interested, I’m starting a link party on Tuesdays over at my blog. It’s a great opportunity to share your content and meet other awesome bloggers! I’d LOVE for you to share a post!